Great service and an excellent job from Erik at ChipsAway. Erik came and gave me an estimate at my home and even fitted me in the same week I called. My car was collected and dropped off so I didn't have to worry about logistics of getting the car to the facility. Really impressed at the level of the job done as well, it was like ... Read more new! The whole process was very professional and I was impressed at the level of service I received. I would highly recommend to anyone. Excellent service from start to finish. I would highly recommend this company. Many thanks to Erik and his team in Kingston upon Hull. From a very satisfied customer. Very professional, quick to respond to phone call, verified by email all stages of the transaction and photos of completed work. I would recommend Erik & Kris Wilson from East Yorkshire for a job well done. Excellent service throughout. Our car was picked up and returned as arranged and on its return we found that work done was much better that we thought it would be and its appearance was much improved by the work which had been carried out for us. I would recommend Chips Away. Could not be more happy with the work carried out , excellent service and finnish . Also after care advice was really helpful . Thanks again . Contacted Kris & Eric via Chips Away website: within 24 hours received reply from Eric who arranged a home visit to view my Mercedes CLK. Appointment arranged and following work completed to very high standard: horrible paint chip on rear quarter panel sustained in local supermarket car park and minor kerb damage to one of my alloy ... Read more wheels. To complete the excellent service, Eric delivered my car back to my home address. Efficient & friendly service and they delivered more than was promised. I am delighted with the outcome & have no hesitation in recommending them. Thanks Erik! Very pleased with your excellent service - my car looks as good as new! 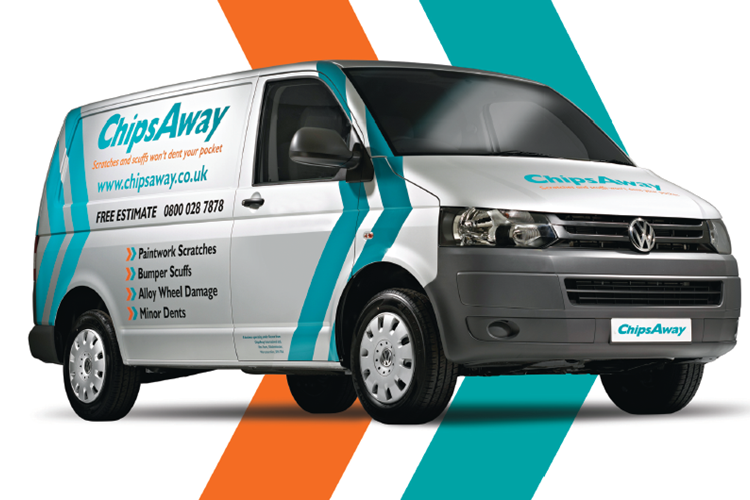 Chipsaway did a really good job ,they are very well organised &efficient ,it,s great when they can drop of the car (πck up).I would use this company again .Thankyou. We hired Chips Away in Hull (Eric & Kris Wilson) to sort out small chips/damage to our bumper. Our car is a nearly brand new Mazda that is painted in a difficult-to-match color and finish. They did an excellent job and was much cheaper than sending it through an insurance claim. Really pleased with the result and would not hesitate to recommend them. A nasty dink on the nearside rear door on our 18 plate Renault Kadjar needed sorting! I contacted Chipsaway in the hope they could smart repair it, well they did & the job turned out really good, in fact just fantastic! The car is now back to showroom condition so a big thank you to Erik & his team & I will use them again should the need arise. Excellent customer service, skilled work and quick process! The service received from Erik was brilliant - very friendly, superb repair, and the process was quick and easy. From start to finish it was a very easy experience with great customer care. The repair was brilliant. No faults at all and would definitely use again, as well as recommend to others. Why go anywhere else? Our car was damaged when being looked after by a parking company whilst on holiday. They quickly accepted responsibility and nominated chip away to repair the car. What a good choice - collected from home, work done, car returned! Great job done. Hopefully not use again but if I need to then I know who to ring. Just had two scratches removed by these guys just perfect. Would recommend them anytime. Thank you to Kris & Erik for fantastic service and repair was exceptional! Thank you so much and I would definitely recommend to all! Scuff on front bumper corner caused by some unknown careless parker, and cracks above radiator grille caused by bird strike, Very reasonable estimate. Car was collected and returned in a day. Very impressed by finished job. The quality is indistinguishable from the two insurance jobs I've had done by top bodyshops in the ... Read more past. Many thanks to Erik & Kris Wilson, Hull & East Yorks ChipsAway. Cannot fault the service or end result. From coming out to see the vehicle and give a competitive estimate, to collecting the vehicle and dropping back off exactly when they said it would be ready. The whole experience was painless. Would recommend to anyone in need of paint repair services. Thank you. Excellent service, repair work carried out within two working days to a very high standard. I cannot recommend them highly enough they are Eric and Kris Wilson. Great job by Erik in Hull. I picked up a scratch on my rear bumper and got Erik to quote. He came down to look at it straight away and advised me exactly what he needed to do to repair it. His quote was very reasonable and he did a great job. The car looks like new again and you cannot detect where the repair was done. He even delivered the car back to my home to save me time. Highly recommend Kris. Excellent service and price. Excellent service! Car was collected and returned, informed on progress throughout. Full bumper was repaired and resprayed within two days. Erik was great! I would definitely recommend and use again. Hassle free in every way. Car collected and delivered and all repair work done in a day. I can't see where the damage was so all looking good. Erik very polite and pleasant and also gave me a reduction for the second panel. Would highly recommend . Eric at Chips Away, Hull. Excellent service and work. Removed a bad scratch from 3 panels plus a dent in wheel arch, present left to me in a car park. Picked up car and returned it, repaired. Very friendly and knowledgeable, quick to explain the task. Definitely use him again if the need arises.